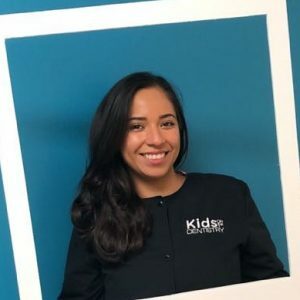 We are delighted to welcome you and your child into the Kids On 1st Dentistry family. Our goal is to make your child’s visits to the dentist a positive and surprisingly fun experience. We focus on education and prevention to make a positive impact on your child’s dental health and we are committed to joining your efforts as a parent to prevent dental disease before it starts. The relationship that we look forward to building with you and your child will serve as the building block for a lifetime of good oral health. We prefer to focus on preventative treatment and we provide routine dental checkups and cleanings. We also provide nutritional counseling and oral hygiene instruction to you and your child to assist in your effort to prevent dental disease. However, when it is necessary to treat dental problems, we are able to offer the most advanced procedures, with state-of-the-art equipment and the newest materials, delivered in the most conscientious way. 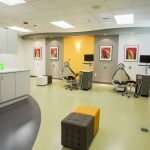 Because we specialize in the treatment of infants and children we have created an environment where kids of all ages feel comfortable. 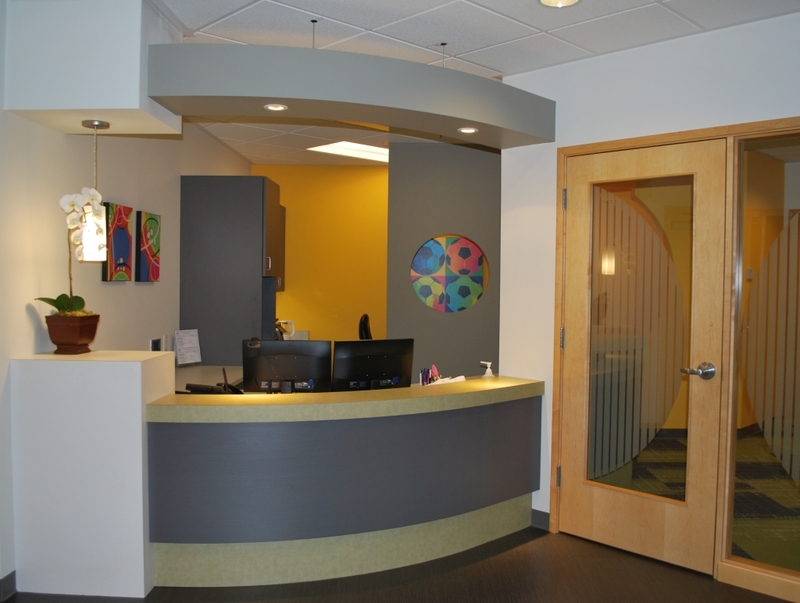 Our office was planned, designed, and built specifically for children. 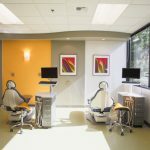 Every component of the office – from the colors, the layout, the equipment we use, and the movies we show during treatment, to the highly trained staff – is ALL about making your child comfortable and at ease. 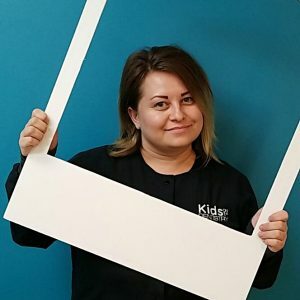 Dr. Becker and her staff are friendly, highly-qualified, and know how to make your child’s dental experience surprisingly fun! We are proud to use only the most advanced dental technology, while at the same time minimizing environmental impact. Our use of electronic records allows us to use a minimum of paper and ink. Through smart and environmentally conscious design, we have also minimized the use of dental lights and, where possible, utilize energy-saving fluorescent and LED bulbs. We have eliminated the use of photo-processing chemicals by employing state-of-the-art digital radiography. We use only lead-free aprons to protect your child while radiographs are taken. 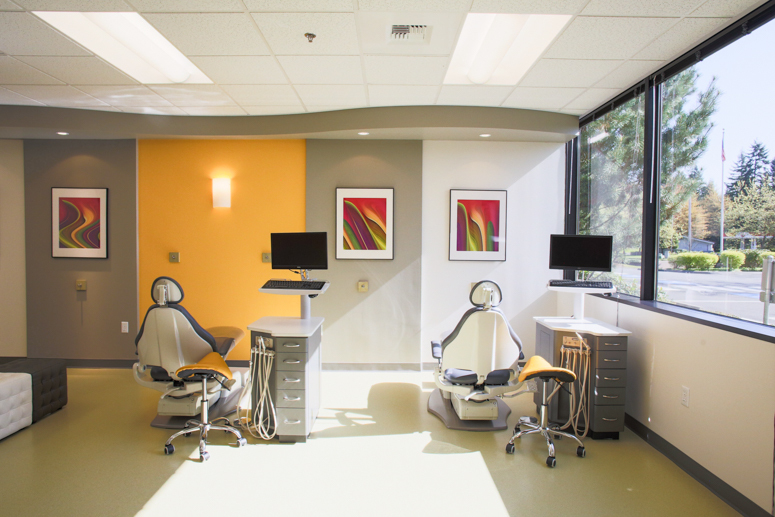 All of our dental procedures are completed with mercury-free materials. Our use of materials that contain BPA is extremely limited. We are happy to provide lists of materials used upon request. 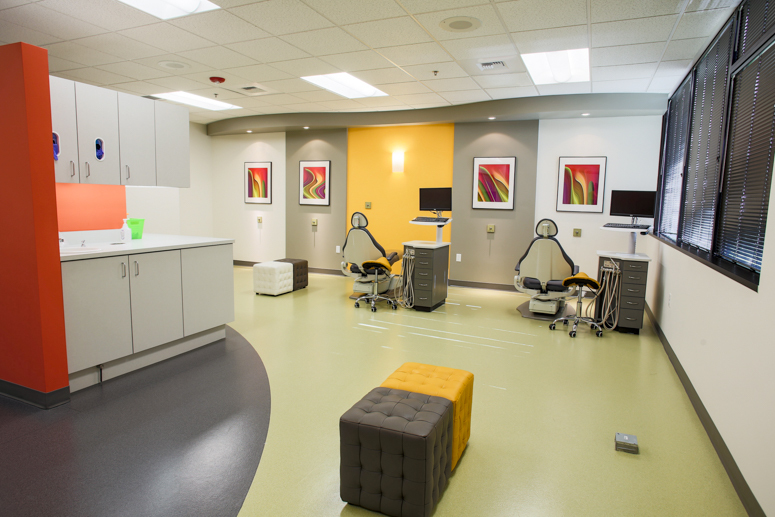 Kids On 1st Dentistry has made a point of acquiring recycled materials as well as energy-efficient equipment. We use only green products for cleaning the office. These products are not only healthy for the earth, but also – and equally important – they provide a healthy environment for your child and our staff. We strive to reduce the production of garbage. We have set recycling bins throughout or office. All our sanitizers, wipes and soaps are environmentally friendly. Infection control is very important to us! We maintain strict sterilization and cross-contamination protocols. 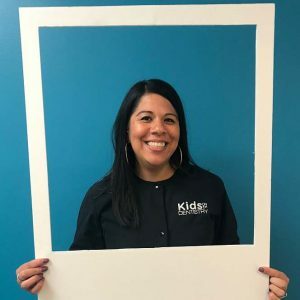 Come tour our office and visit the sterilization “zone.” See how serious we take our sterilization procedures that are designed to protect your child and our staff! We provide comprehensive treatment planning using state-of-the art materials and instruments. We believe in a conscientious and conservative approach to dental treatment. Should an emergency occur, we will make every effort to see and care for your child as soon as possible. 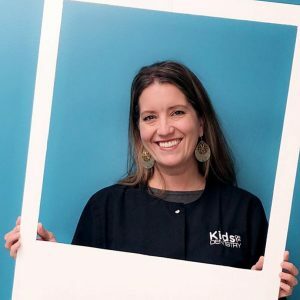 We will not rush you, we will listen to your concerns, and will give your child time to adapt to our dental office and make your child’s visits as comfortable as possible. 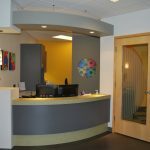 We encourage you to schedule a tour of the office before your child’s appointment to familiarize yourself with our facility. Call and make a tour-visit appointment! New patients need to fill a questionnaire. Do it right here and save time! Click on the balloons for the actual Facebook review! "Love! Love! Love! The best kids dentist ever! The kids are at ease and her bedside manner is amazing! She not only treats the kids but the parents. Very informative. Explains in detail and sets my mind at ease! Go!!!!!" 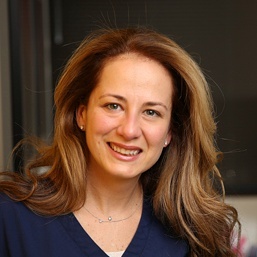 "We love Dr. Becker and her wonderful team! She is very knowledgeable, great with the kiddos, and got us in when there was an urgent need for our son. Our 3 boys love going there, enjoy their own tablets, movies, and cool toy incentives they provide. The environment is very clean, simple, yet inviting. Our middle son had some teeth pulled, and everything was on point and went so smoothly. I'm so glad we found Kids On 1st"
"Dr Becker is an amazing dentist. Very knowledgable and amazing bedside manner. Not only did she address my daughters concerns and fears wonderfully but she also put my mind at ease. After finding her, I can't imagine taking my daughter anywhere else." "Es un estupendo consultorio rápidos, amables muy buen servicio sencillamente geniales haciendo su trabajo!!!" 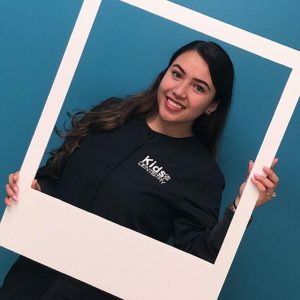 "I’ve been taking my daughter here since she got her first teeth, she is still nervous every time we go but the staff and Dr Becker always do the best to keep her entertained and work with her... the office is very clean and professional. I love that the kids always get a price and balloon! Keep up the good work!!" "I wish we can give 5+++ ... so my daughter is very picky . Very very scared from docs specially her previous dentist . We visits 1st on dentist today and I was amazed with the staff and their politeness towards kids .. my daughter (3yearold) said " momma I love my Doc because she is so beautiful I mean nicest " no cheating that was her wording :) keep it up ..."
Come visit, give us a call, send us en email, or directly request an appointent!